I often get caught up in the hustle and bustle of life. I’d like to say it’s just around Christmas time, when most of the world seems to get a little frantic. In reality, I keep waiting for a break. I thought it would happen after Great Strides this year. But then the summer took hold- lots of illnesses, aging about 3 decades (got shingles and “broke” my hip), added into a full schedule of activities for the kids. Then of course Shinerama time, and passing on the Mom of the Year “torch” made the fall busy. Then the winter sneaks in and brings germs and hours of daily treatments for Sophia, sleepless nights, and worry. But I digress. I know I’m not alone. We all feel busy. What I’m trying to say is that I think I’ve been focusing on the wrong things. I shouldn’t be waiting for a break, struggling to get through. I should be enjoying the little moments that happen each and every day. They’re there. Between cheerleading the kids to eat their breakfasts and get dressed before school, and negotiating ever-lengthening bedtime routines, there are some golden moments. Yesterday when I was doing the dishes, I heard some (very) loud music coming from the basement. When I glanced down the stairs I saw Sophia uncontrollably giggling to Simon’s modified chicken dance, followed by “I love you Simey-doodle.” Golden. 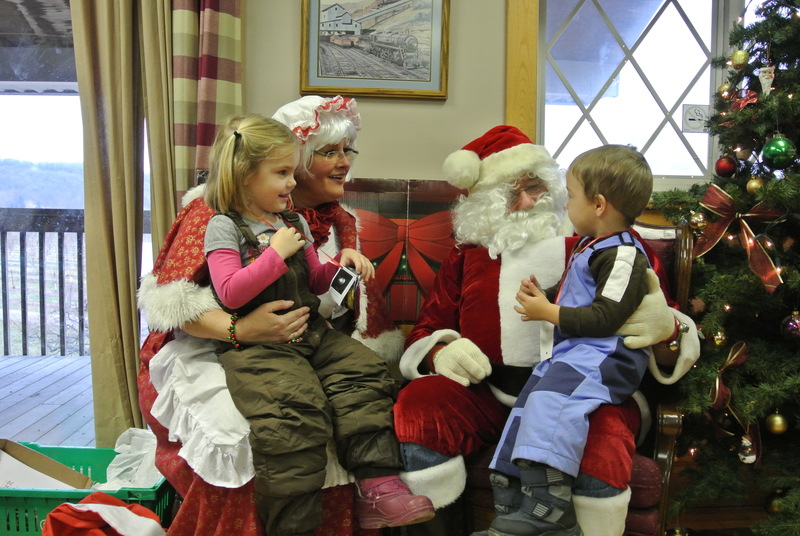 We took the kids to see Santa and Mrs Claus a couple of weeks ago. When asked what they’d like for Christmas, Sophia said “lots of puppies” and Simon said “beautiful flowers.” At first I felt cynical about Simon’s statement. Our house has a lot more construction vehicles (at his request) than flowers. He’s a charmer, and I wouldn’t put it past him to know just what Mrs Claus needed to hear to keep her coming back each year. Upon further questioning though, he seems to truly love flowers. The simplicity and beauty of these Christmas wishes makes my heart melt. We should all wish for lots of puppies and beautiful flowers. Golden. For the past few days, Sophia has had a “new home.” She chose a My Little Pony tent from a table of gifts and has slept in it every night since. She gathers about 30 of her closest stuffed animals (aka “guys”), 2 pillows, 2 blankets, and crams herself in there. I think it’s meant to comfortably hold 2 small children sitting and playing. Every evening when I tiptoe in to turn off her bedside lamp, I can’t help but smile at the pile of Sophia items in the tent. Golden. I hope that, throughout this busy and hectic season, you all take a moment to find the golden moments in your day. Happy holidays! Tags: CF, Christmas season, cystic fibrosis, family, golden moments | Permalink. As many of you know, I am passionate (aka relentless) when it comes to fundraising for Cystic Fibrosis Canada. Through awards and events, we’ve been able to raise almost $250,000 since Sophia was born 4.5 years ago. I often give or arrange talks about where those fundraising dollars go, but I just realized that only a few people really ever get to hear those talks. Maybe I should share some of the exciting breakthroughs here. Maybe my excitement about where research is leading will be contagious? (This is the one time I will use that word with a positive tone). I’ll give a quick disclaimer here: I am not a researcher. I am not an expert. What I write is based on what I understand to be true. I may be (a little bit) wrong, so please comment and let me know if I’ve misrepresented any ideas. I’ve mentioned before that cystic fibrosis is genetic. It’s far more complex than that little word implies. There are over 2000 known mutations that lead to cystic fibrosis. They can largely be categorized into one of five different protein (CFTR) malformations. Recently a drug called Kalydeco was approved for use in the USA, Canada, and many other countries. If you are part of the 4% with the protein malformation it targets, it is an incredibly powerful control (not a cure) for cystic fibrosis. In very layperson language, it basically “opens the gate” to allow the protein to pass through and do its magic. Unfortunately Sophia is not in this group. She has 2 copies of deltaF508, which is the most common mutation, and leads to a slightly more complex protein malformation than the one Kalydeco targets. Sophia’s proteins need to be fixed up a little and then let through the gate. There are large-scale studies being done right now looking at the usefulness of Kalydeco combined with another drug. We’re waiting for the final results to be published soon. Another complicating factor is the presence of modifier genes. These are ‘other’ genes that cause one person with deltaF508 to be quite sick, while another to be relatively well. Again, research is looking at identifying what these modifier genes are, and how we can tailor treatments to each individual with cystic fibrosis. My bias in outlining only a couple of areas of research is obvious. These are the ones that seem most pertinent to Sophia right now, so I am most interested in them. There are hundreds of other studies funded by Cystic Fibrosis Canada every year. If you are interested, there’s a booklet published yearly on the Cystic Fibrosis Canada website (www.cysticfibrosis.ca). 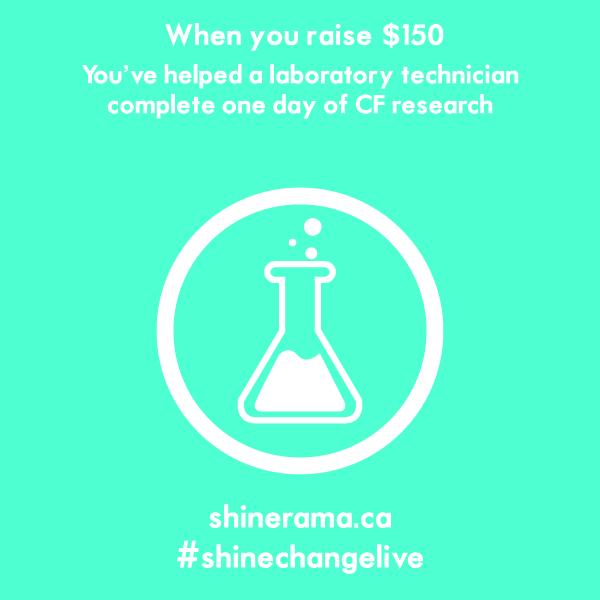 Tags: CF, cystic fibrosis, donations, fundraising, shinerama | Permalink. The good times make us smile. Spending time with family, having dance parties, splashing in the water, running full tilt down the hill to the park, chasing big dogs. The okay times are just that- okay. Waiting for kids to wake up, finish their meals, *patiently* waiting for the cold weather to improve. The rough times seem insurmountable in the moment, but end up as little blips in our memories. No TV on the plane to entertain the children, meltdowns over diaper changes, whining voices wearing us down. To every journey, there’s a beginning and an end. The anticipation of going on an adventure, counting down the sleeps, packing the bags, making lists. The sudden realization that the trip is almost over, the frantic packing, the anticipation of returning to routine, looking forward to your own bed, sadness that you have to leave so soon. And when it’s all finished, you wish it would start again. Life is a journey in itself. When you think back on the journeys in your life, are you a pessimist, an optimist, or a realist? Which moments are most salient in your mind? Whenever the bad moments creep into my thoughts (Simon screaming ‘get me out of my seat’ 1 hour into a 4 hour flight), I try to immediately think of something that made me smile (Simon’s never-ending version of counting: 1,2,3,4,5,6,7,8,9,10,11,12,14,8,9,10,11,12,14,8,9,10…). Tags: adventure, CF, cystic fibrosis, journey, life, travelling | Permalink. This post will seem familiar to those who follow my blog… because, well, I’m recycling a post with just a couple of updates. I’m going on a trip with the kids. Just me, 4-year old Sophia, and 2-year old Simon. Even writing it makes me feel anxious. All I can hope is that the kids are too tired to cause trouble so early in the morning. It’s a slim thread of hope to be holding onto. We are flying for this trip, not camping (thank goodness). While this makes life easier in some ways… i.e. we don’t have to sink Sophia’s medications to the bottom of the lake, it comes with new challenges as well. As many of you know, airlines are notorious for ‘losing luggage.’ Seriously, where does it go? Is there an underground network of escapee suitcases, scurrying through tunnels under the airport, vying for the chance at a better life on the other side? Maybe it’s like the socks that escape from my dryer. I know they’re hanging on for dear life, praying I don’t see them tucked behind the rim, so that as soon as I turn my back they can hop to freedom. I didn’t understand how the airport staff could confuse Toronto with Calgary (even my 3-year old can tell the difference between those words) until I saw the space-saving short forms for the airports. YYZ vs YYC. What brilliant mind thought of making short forms that all look the same at a quick glance? But, I digress. Now, losing a pair of underwear or a hairbrush is certainly annoying, but by no means catastrophic. Losing the compressor needed for life-sustaining chest therapy, or the enzymes that allow food to be digested can be a lot more serious. Therefore, travelling with someone who has cystic fibrosis means a LOT of carry-on. A quick list of what needs to be carried into the cabin with us: compressor, tubing, nebulizers, percussor, salbutamol, saline, syringes, pulmozyme (packed carefully on ice packs), enzymes, vitamins, you get the idea. This can really impact the number of novels I can carry (for anyone who’s travelled with small children on the plane, I can see your smirks). Seriously though, it’s a lot to think about, and it does impact how many children’s toys and books we can bring. And you need to leave a lot of time to go through security, because you can bet they’ll be swabbing every item in your bag (most of it’s on the ‘do not bring’ list- they make an exception for medical reasons, but they’ll still take their time ensuring you’re not a terrorist). Another aspect of plane travel with a child who has cystic fibrosis is exposure to germs. Although we would all love to imagine that after we disembark from the plane, a crew enters wearing HAZMAT gear and sprays down every seat cushion and television, we know that doesn’t happen. Last year when I took the kids on the plane, I sanitized their hands repeatedly, but they still ended up sick. This year, I am forming a new plan that includes Clorox wipes, hand sanitizer, and forcible confinement in a carseat. I feel like I could go on forever on this subject, but will end with one more consideration. Travelling any distance on the plane requires you to be at the airport 2 hours before flight time, you spend say 4 hours in the air, and then 1 hour getting your bags and finding your ride, and an hour on either end for travel to/from the airport. All in all it can take about 9 hours to get anywhere close. So, when do we do chest therapy? I’ve tried various combinations. One time I plugged in Sophia’s compressor while in the waiting area and did her therapy there. I got a few strange looks, but I didn’t care. Unfortunately, as Sophia gets older and is more aware of her surroundings, she may care. Another time I did it on the plane. There were definitely some worried people that time. Some passengers mistook the mist that escapes from the nebulizer as smoke. The flight attendants had their work cut out for them that day. This time I am trying something different. We will be on the earliest flight of the day, and will spend most of the time travelling when Sophia should still be sleeping. We will arrive at our destination in the morning, and so I will do her first round of therapy when we get there. No scenario is ideal. I’m sure I will learn some more tricks along the way. Even with all that in mind, I am super-excited to go on a trip. I know Sophia is too. Simon has no idea what’s going on. Tags: CF, cystic fibrosis, plane, travel, vacation | Permalink. If I could put it in a bottle. For it’s only bloodwork, and it will be done soon. Lighting up her face and my heart. The sound competing with my beating heart. Filling my soul with unconditional love. Tags: CF, cystic fibrosis, poetry | Permalink. Sophia’s experience with formal public education has begun! She started Junior Kindergarten a couple of weeks ago. The first day was full of anxiety, jitters, sweaty palms, and furtive glances into the scared eyes of all those around. For me. And the other parents. Sophia was fine. Gave me a kiss and a hug (for my benefit, no doubt), and filed off after the other children, neatly in a line. All day I stared at my cell phone, as though temporary deafness would overcome me if I looked away, and I would miss a call from the school to inform me of disaster, disease, and epidemic. Sounds melodramatic, eh? For someone who prides herself on facing challenges with calmness and control, I certainly felt a bit jumpy and ‘different’ that first day. Each day Sophia comes home with a smile on her face. When I ask her what happened that day, the responses are vague and exactly what I might expect from my four-going-on-fourteen daughter. Through sheer parental genius, I slowly gleam nuggets of information from her throughout the day. Before bedtime we like to write stories together. Sophia narrates and I write, then we read it together. I prompt her to tell me about school, and I often get a small glimpse into her day. One thing I’ve noticed: several kids in her class know her by name, but she only knows 2 kids by name. I hope this is because she’s bubbly and fun. Not because the teacher is always addressing her by name to get her attention. Being all too aware that Sophia is often operating in her own world, I think the latter might be more true. Regardless, they all refer to her as their ‘friend Sophia’. That makes me happy. Today I had to make my first tough school decision. Sophia has been a bit stuffed up and has started coughing more in the past couple of days. Typically I just start doing 4 rounds of chest therapy until her cough stops. Because there are only so many hours in the day, she can only really get 3 rounds in if she goes to school for a full day. The tough decision: do I take her out for the full day, part of the day, or not at all? This morning I suggested to Sophia that I’d probably pick her up at her second snack break. Her response: “Not at nutrition break. That’s my favourite part of the day! I love eating snacks at the table and then playing with my friends.” So I decided to compromise. I showed up near the end of her second break and brought her home. She didn’t seem to mind at all. Yes, she’s an awesome kid, who just made her momma’s tough decision an easy one. 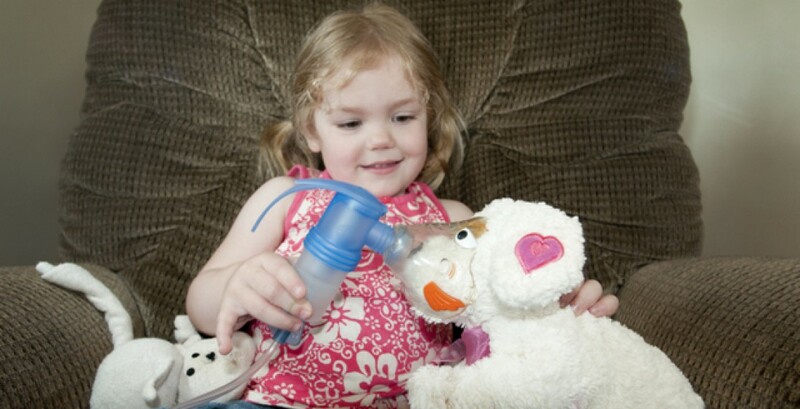 Tags: CF, chest physiotherapy, cystic fibrosis, kindergarten, school, sickness | Permalink. 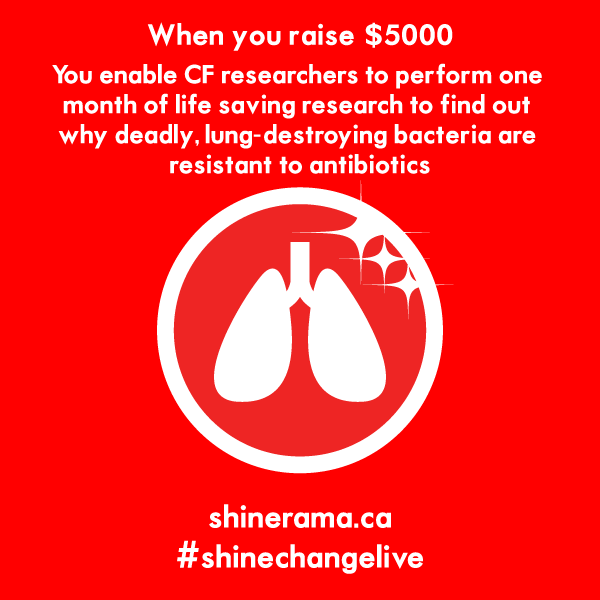 A Positive Energy- Thank You Shinerama! Last week I was honoured to be invited to speak at Wilfrid Laurier University’s Shine Time. 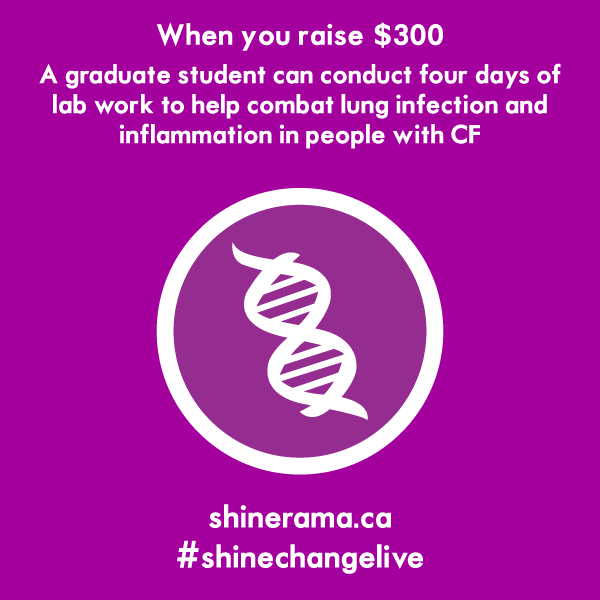 Since 1964, university students across the country have been raising funds for Cystic Fibrosis Canada during Shinerama. 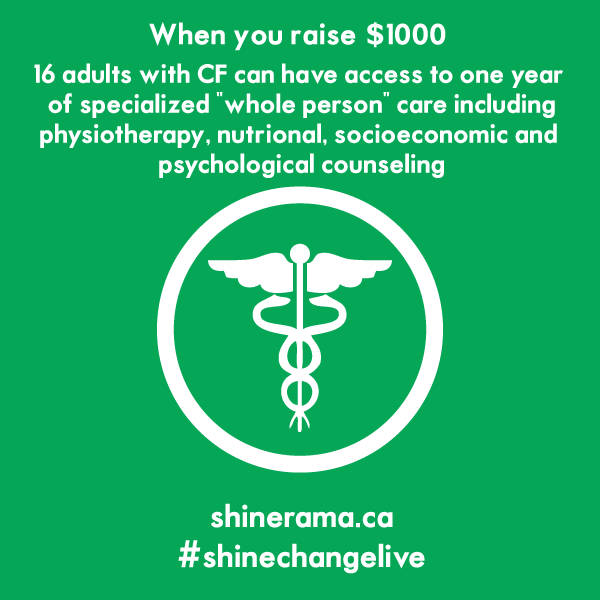 Last year Shinerama raised over $1 million dollars. This year, the students at WLU alone raised over $10,000/hour on Shine Day and managed to raise over $160,000 during their campaign. 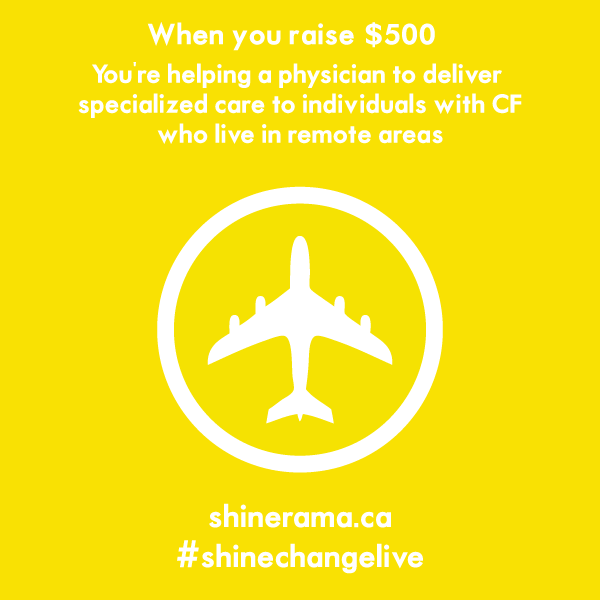 There are over 60 schools across Canada that participate in Shinerama. Unbelievable. For the past 2 years, during Orientation Week, I have spoken to small groups of first-year students in a classroom setting. I’ve told them a bit about cystic fibrosis, and have shared our story with them. This year I was asked to speak to a larger group. I had no idea what I was in for. An upper-year Shinerama leader met me at my car and walked me across campus to a very large building. It is called the Athletic Complex. It has a seating capacity of over 2000. When I walked in, the bleachers were almost full and the floor was packed. Shinerama Leaders were rallying their “colour groups” by chanting at the tops of their lungs. I honestly thought the bleachers might break with all the stomping and jumping up and down. Although I couldn’t always hear the words (it was just so loud! ), I knew that the message was about fighting cystic fibrosis and finding a cure. I was speechless. All of these students were going to raise funds for my little girl. They were excited about it. They were jumping up and down. They were cheering and singing. Most of these incredible people had no personal connection to cystic fibrosis, yet there they were shouting loudly that together we’d find a cure. As the groups settled down, Olivia Montgomery (this year’s Campaign Director) told the students a bit about Shinerama and just before introducing me, yelled “Bling Bling”, to which the masses responded “CF ain’t no thing!” Their enthusiastic applause lasted long enough for me to gather myself together, regain my capacity for speech, and share my story. As Sophia gets older, I find that 2 things are happening. First, it’s harder to give speeches without getting emotional. Second, I feel more motivated (perhaps laced with an undertone of desperation) to inspire others to help raise funds for research. Although I know it will continue to get more difficult for me, I’m happy to know that my dedication to finding a cure is unwavering. When passion is true, it doesn’t falter. Thank you once again Shinerama students- for listening to my story, for volunteering your time, for sharing your energy, for sharing my tears, and for raising much needed funds for research. You are AMAZING. 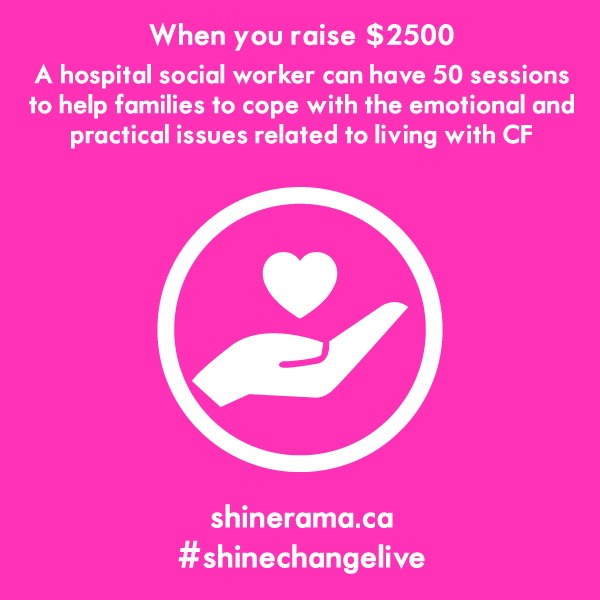 Tags: CF, cystic fibrosis, Cystic Fibrosis Canada, fundraising, shinerama | Permalink.